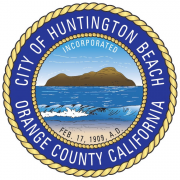 The City of Huntington Beach Information Services Department is seeking a College Intern to assist with business systems support projects. This position requires current enrollment in college level courses at an accredited college or university. College transcripts/proof of enrollment must be provided prior to appointment. The ideal candidate has familiarity with computers, MS Office (Word, Excel and PowerPoint), HTML, basic web development, operating systems such as Windows 7, and possesses effective communication and cooperative interpersonal skills, the ability to work well in a busy office environment where attention to detail is important, excellent customer service skills, and is available to work a minimum of 12 hours per week. Note: This recruitment may close at any time, once the hiring manager determines that enough qualified applications have been received. Knowledge of : Computer operating systems/software, basic Website development, business English, spelling and grammar; modern office practices, procedures and equipment; personal computer operations; basic math principles; effective public relations/customer service principles, practices and techniques. Ability to : Utilize general office equipment such as telephone, fax, printers, copiers, and computers; learn and apply City policies, procedures, rules and regulations; conduct basic research, research, compile and analyze data and prepare accurate reports; maintain work effectiveness and meet deadlines with frequent changes in workload and the priority of assignments; understand and carry out oral and written instructions; communicate clearly and concisely; establish and maintain cooperative working relationships with those contacted in the course of work; provide quality customer service.